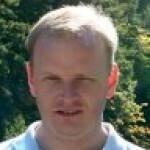 Charles McKinney joined iSixSigma 8 years, 2 months ago. Charles began his career in management consulting and gained exposure to Six Sigma in 1999. He is a Certified Six Sigma Black Belt by the American Society for Quality and a Master Black Belt. Charles held engagement management and practice development roles with “Big 4” and boutique consultancies. He delivered process improvement, program management, internal control and regulatory compliance services to banking, financial services, technology and public sector clients.